"How a Real Estate guy in Foreclosure Sponsored 28 People in 21 Days at a Minimum $500 Buy-In, and Today Regularly Enjoys Multiple $5-Figure Months in Residual Income Thanks to this #1 Skill-Set You Can Master Starting Today…" Uncover His Best-Kept Sponsoring Secrets That Can Make You a Fortune! 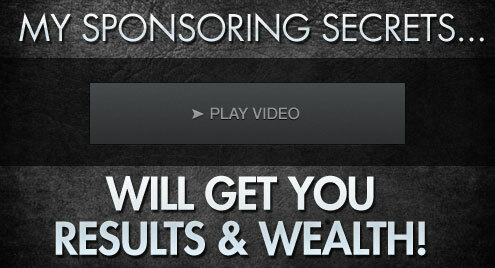 INCOME DISCLAIMER: MyLeadSystemPRO® (MLSP®) is an education company and marketing platform, not an income opportunity. Some of our customers are also affiliates and earn commissions by referring other people to our products and services. participants in any other business to which the MLSP program may be applied. Some users will make NO MONEY AT ALL with this program. Individual results will vary greatly and in accordance to your input, determination, hard work, and ability to follow directions. © 2008-2014 Upward Enterprises, LLC. All Rights Reserved.